You’ve just delivered a fantastic presentation at an industry or major business conference and by the level of questions and attendees who wanted to speak to you after the session, you realized that your content was very appealing. Sure, conference organizers will share it with delegates, but why not consider sharing to a much broader interest-segmented business audience online. The exposure just may, not only broaden your positioning as a thought leader in your space, but also contribute to measurable demand generation for your product, service or expertise. Presentation and document sharing sites like SlideShare are often overlooked as a viable way for B2B marketers to share industry leading insights and thought leadership which could help to tip the balance for potential long or short sales cycle customers researching online. 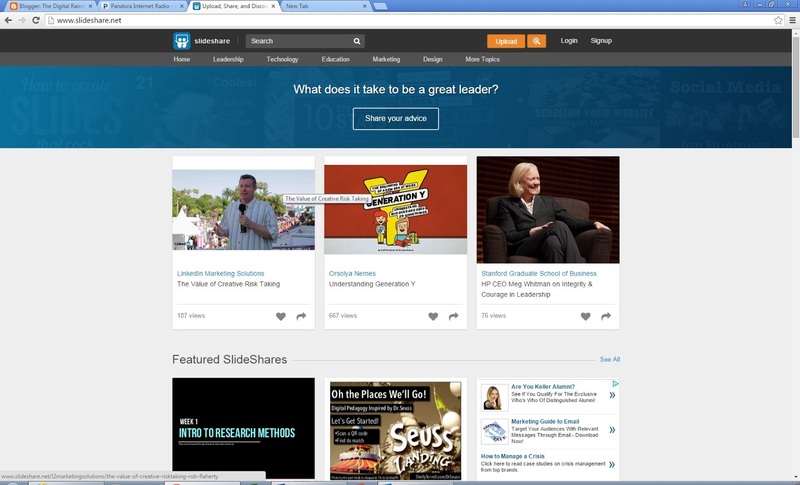 Your SlideShare homepage can actually act as an additional website, where users can read details about your firm, products and services and download content you’ve shared. Slide presentations can be embedded within your own company website for visitors to consume on your own site and there are a range of social platform 'sharing buttons' to let others know about your great content. You can tag your presentations, reports or Infographics with keywords to make them easy to find by others and add a short description of the content. You can upload an audio file if you’d like to narrate your presentation. Last, but certainly not least, you can get statistics showing views, downloads and other real-time data to see just how fruitful your sharing experience was.